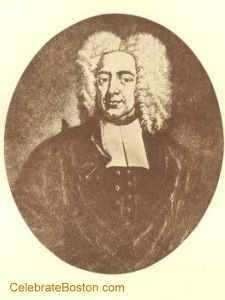 "Cotton Mather (1663-1728), clergyman, was born in Boston on February 12, 1663; son of Increase and Maria [Cotton] Mather. He graduated from Harvard in 1678, Bachelor of Arts, and Bachelor of Science in 1681; taught school in 1678-85, all the while studying theology. An impediment in his speech caused him to devote himself to the study of medicine, but by constant effort he overcame the difficulty and resumed his theological studies. Mather preached his first sermon in his grandfather's church at Dorchester, August 22, 1680; and declined a call to New Haven, Connecticut, in 1681. He was ordained assistant pastor of the North Church, Boston, as a colleague with his father, May 13, 1685. He was actively connected with the persecutions of the alleged "witches," and published Memorable Providences relating to Witchcraft and Possessions in 1685, the tendency of which was to increase the excitement. In 1688, he was one of the four ministers that held a day of fasting and prayer for the affected children of John Goodwin of Boston, and he took the eldest daughter to his house in order to observe and prescribe for her strange actions. He became the foremost adviser and wrote Wonders of the Invisible World being an account of the trials of several witches (1692) concerning the supposed phenomena. During this reign of terror at Salem, two hundred persons were accused, one hundred and fifty imprisoned, nineteen hanged, one pressed to death, and twenty-eight condemned but not punished. When the popular reaction followed he was severely criticized and charged with being its chief cause, promoter, and agent. It was further charged that he favored the prosecutions for witchcraft, advocated the executions by his presence, and in various ways urged the terrible work of blood. Several vindications of Mather have been written, including one by William Poole. Mather partly discovered his error near the close of his life. On the fall of the delusion, Mather's influence, which had been great, began to decline, until at length he became the object of much ridicule. He was three times married: first, on May 4, 1686, to Abigail, daughter of Colonel John Phillips of Charlestown; secondly, August 18, 1703, to Elizabeth, daughter of Dr. John Clark and widow of Mr. Hubbard; and thirdly, July 5, 1715, to Lydia, daughter of the Reverend Samuel Lee and widow of John George. He was almost fanatically religious, having been surrounded by holy influences and imbued with the spirit of devotion from early childhood. He composed forms of ejaculatory prayer for use on occasions, and kept weekly fasts, prostrating himself on the floor of his study. He was one of the commissioners for Indian affairs, was an advocate of Christian missions and projected a Society of Peacemakers, to compose and prevent differences and to divert lawsuits. The honorary degree of Doctor of Divinity was conferred on him by Glasgow University in 1710. He was elected a fellow of the Royal Society in 1713, being the first American so honored. His correspondents included scientists and literary men in all parts of the world. Besides his works on witchcraft lie is the author of: Magnalia Christi Americana (1702, 2 Volumes); Psalterium Americanum, being an exact metrical translation of the Psalms in prose (1718); Biblia Americana, or Sacred Scripture of the Old and New Testaments (manuscript), besides numerous other publications, both in prose and verse. Mather worked with Dr. Zabdiel Boylston, who performed the first inoculation in America with his assistance. His works are extremely rare, the most extensive collections having been made by the British Museum and the Bodleian library at Oxford. 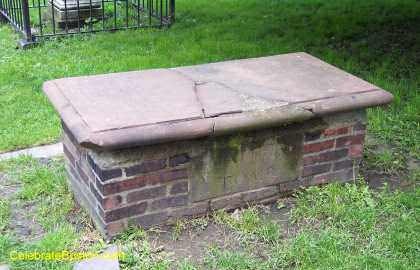 He died in Boston, February 13, 1728, and was buried in the family vault in Copp's Hill Burying Ground. The tomb is located on the south side of the cemetery near Charter Street."